While you enjoy one of our Durango cabin rentals, we recommend you check out Mesa Verde National Park, the first national park of its kind! Mesa Verde National Park, Spanish for green table, was started by Theodore Roosevelt, to preserve the works of man. Mesa Verde National Park was designed to protect archaeological sites built by the Ancestral Puebloans, who lived in Mesa Verde for more than seven hundred years. As of now, Mesa Verde has over four thousand seven hundred archaeological sites. These sites include six hundred cliff dwellings, the mesa top sites of pit-houses, pueblos, and farming structures, with many more yet to be discovered. Mesa Verde National Park is a spectacular look into the lives of the Ancestral Puebloans who chose to make Mesa Verde their home. As they lived and flourished in this region, they eventually built extravagant stone communities in the sheltered alcoves of the canyon walls. The Mesa Verde Dwellings are part of some of the best-preserved archeological sites in North America. The Ancestral Puebloans mainly lived on the mesa tops, most of them began living in pueblos they built beneath the overhanging cliffs. The structures range from one-room storage units to communities of more than one-hundred and fifty rooms. While still farming the mesa tops, the Puebloans continued to live in the alcoves, repairing, restoring, and constructing new rooms for almost a century. Then, they started migrating south into what we currently refer to as New Mexico and Arizona, ending the Ancestral Puebloan occupation of Mesa Verde. Mesa Verde National Park is worth the thirty-minute drive from your Durango cabin rentals. 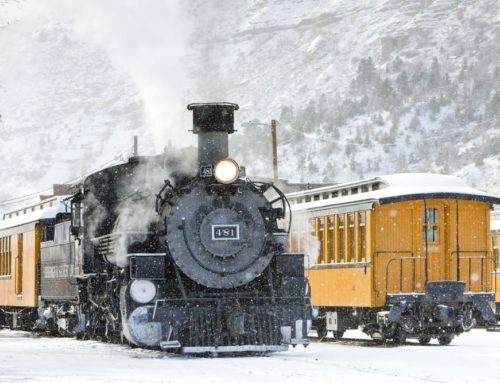 The history and beauty, as well as the small town feel of downtown Mancos, make it an ideal day trip for the family!